One player didn't leave his mark on the 2018 season, so it's tough to name a single Player of the Year on the men's side of the game. Our solution? Let's go with five. 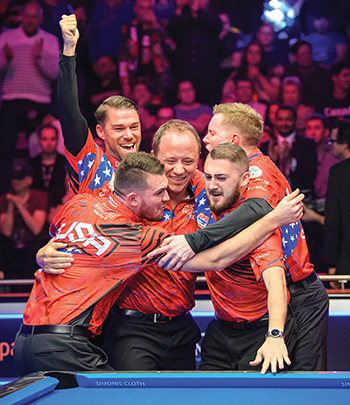 Team USA's win at December's Mosconi Cup is undoubtedly the year's most dramatic performance. After dropping eight consecutive trans-Atlantic tilts against the Europeans, the Americans seemed to need a miracle to get a win. With a young team with Tyler Styer, Billy Thorpe and Skyler Woodward joining vets Shane Van Boening and Corey Deuel, can anyone really claim they foresaw their 11-9 victory? It wasn't unthinkable; it was just unlikely. But the Yanks stood their ground at London's raucous Alexandra Palace, winning the first three days to take a 9-6 lead in the race-to-11 matches. Things got sticky when Team USA lost three straight on the hill to see Europe inch close at 10-9, but Shane Van Boening – the best American player for a decade-plus who has nonetheless struggled in Mosconi Cup competition – ended things in dramatic fashion with a 1-9 combination to clinch the cup. Just 26 years old, Siming Chen has locked up her third Billiards Digest Player of the Year award. 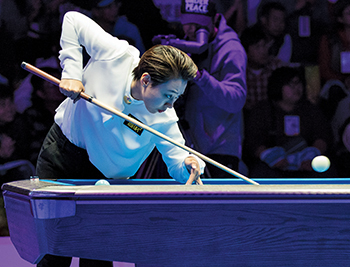 Similar to the men, no one player dominated the women's side of the game, but Chen knocked off the Amway Cup and performed consistently strong in other major events. She defended her Amway title in March in Taiwan, though the victory came in surprising fashion. Chen dropped two matches in the group stage but squeaked into the elimination rounds by losing two less racks than another competitor. From there, she gathered momentum en route to an 11-4 win over Ho-Yun Chen for the $34,000 prize. A fourth-place finish at the WPBA's Ho-Chunk Classic and a fifth-place performance at the Women's World 9-Ball Championship proved just enough for Chen to edge compatriot Fu Xiaofang for 2018's top honor. Tennis elbow, like turf toe, is one of those ailments that just doesn't sound like that big a deal. How painful can that be? For a pool player, it can be devastating. Niels Feijen dealt with the tricky condition for the better part of a year leading up to February's World Pool Masters, with tendonitis leaving him unable to pick up a cue for long periods of time. The Dutchman even entertained thoughts of retirement as treatment after treatment didn't help. But a few new exercises got him back in playable shape before the Matchroom 16-player event, even if he was a bit rusty. Feijen dispatched Raj Hundal, Dennis Orcollo and Karl Boyes before thumping Shane Van Boening, 8-4, in the final. "Even two weeks ago, I didn't know if I could play," he said after the win. "A few weeks ago, I was ready to send a text to Matchroom to tell them I couldn't make it." With only a half dozen major international events for the game's best players, each title carries that much more significance besides prize money and a bullet point on the resume. 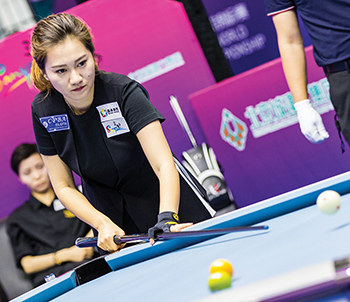 Yu Han took home her third World Pool-Billiard Association world title with a win at December's championship in China. Han, just 21 years old, inched within one title of tying Allison Fisher for the most all time with a dominant performance through the 32-player single-elimination bracket. Her only challenge came from former BD Player of the Year Kelly Fisher in a hill-hill quarterfinal. Surviving that, Han topped the Philippines' Rubilen Amit, 9-6, and China's Xiaoting Wang, 9-6, in the final – a set that was not as close as the score suggests after Han raced out to a 5-0 lead. We're not knocking Fedor Gorst's 2017 campaign, when the Russian young'n won the World Pool-Billiard Association Junior World Championships in 9-ball and the European crown in 8-ball. But 2018 proved to be the 18-year-old's coming out party on the senior circuit. 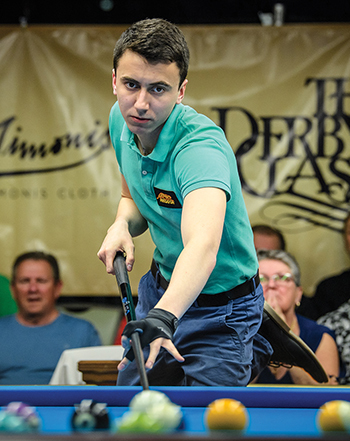 Gorst ventured to the Derby City Classic, where he finished second in the talent-packed 10-ball event and seventh in the banks division. He also collected respectable finishes at the China Open (ninth), International 9-Ball Open (ninth) and World 9-Ball Championship (17th), and became the youngest male EuroTour winner by capturing the Treviso Open. When Shane Van Boening hit the shot of the year (see below) to win the Mosconi Cup for Team USA, its first win in nine tries, pool fans could easily ask, "How the heck did that happen?" It's complicated, but there's no question that Johan Ruysink was the driving force behind the upset. The Dutch coach captained Team Europe to seven wins. Matchroom Sport, knowing how badly Team USA needed a makeover, asked him to lead the Yanks in 2017 – a "competition" that ended with the American hosts pointing fingers after a 11-4 defeat, while fans questioned his ability, drive and loyalty. But 2018 was a story of redemption. Ruysink made an extra effort to connect with the American players by bringing Jeremy Jones onboard. The players bought into the Dutchman's extensive training plan, ditching early will-he, won't-he drama with Van Boening into a happy ending that clinched Team USA's first win in too long. Ruysink's commitment to the game and its players is unquestionable. But the Mosconi Cup victory added even more proof that the guy's methods are pretty solid. Too much Mosconi Cup? Never! We readily accept that a diagram of a fantastic pool shot doesn't convey its full excellence. But let's take a look at 2018's Shot of the Year. The 1 ball is a full two diamonds up and one out from the bottom left corner. The 9 is hardly hanging in the pocket's jaws. And this is all before we set the stage. At this point in the Mosconi Cup, Team USA is on an eight-year losing streak. The Americans got to the hill early, grabbing a 10-6 lead, before Europe stormed back winning three matches in a row. Shane Van Boening raced to a 4-1 lead in the race-to-5, only to see Alex Kazakis drop two straight 9 balls. 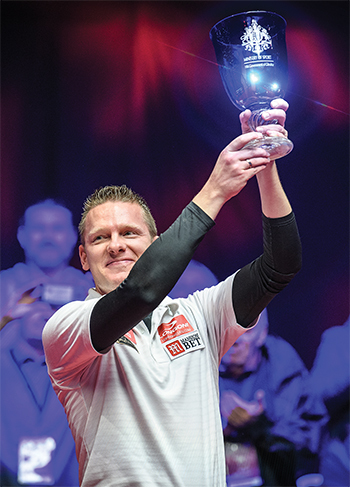 After a misplayed 1 ball from the Greek star, Van Boening approached the potential Mosconi Cup-clinching shot with stealth confidence. On a 30-second shot clock, the American pulled the trigger with seven clicks left. 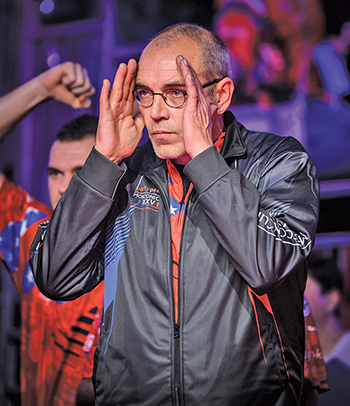 The 9 ball went directly in the pocket – and the Mosconi Cup returned to American soil. A few months after winning her first Women's Professional Billiard Association tour event in years, Vivian Villarreal made the wrong kind of headlines by cancelling her Tornado Open just days before it was to begin. The November event, set for Atlantic City's Hard Rock Hotel & Casino, was wiped off the calendar thanks to a major sponsor backing out at the last minute, according to Villarreal. What was supposed to be an event with $100,000 in added prize money left some players a few bucks short after booking travel to New Jersey. The sponsor was never identified, but Villarreal claimed she was exploring legal options. 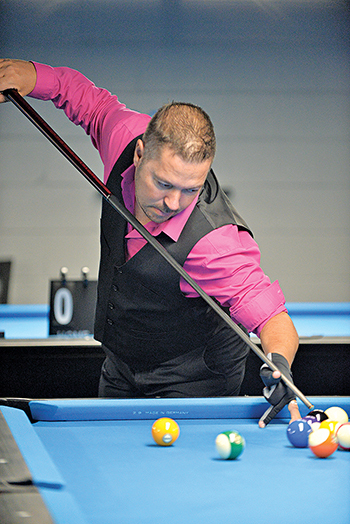 Already known as "Mr. 400" for his two 14.1 runs topping that lofty number, John Schmidt spent nearly two months of 2018 chasing one of pool's most hallowed records: Willie Mosconi's straight pool record run of 526. Schmidt, now living in California, toiled at a table for a total of 28 days over two three-week blocks (during Aug.-Sept. and Nov.-Dec.). Schmidt ran racks for roughly 10 hours each day at Easy Street Billiards in Monterey, Calif., taped and overseen by straight pool fan Doug Desmond. Since Schmidt didn't win our Outstanding Performance award, you can guess he didn't top Mosconi. But he did put up some crooked numbers; Schmidt collected two runs over 400 (including a 434-ball run that ended on a bizarre scratch), nine runs over 300 balls, and another 36 runs over 200. Schmidt now has four lifetime runs over 400 balls. Jean Balukas walked away from professional pool in the early 1990s, but she never left the game. 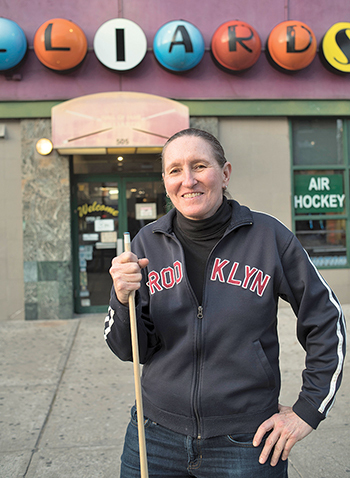 For the past 20-something years, the all-time great ran Hall of Fame Billiards, her family poolroom in Brooklyn, N.Y. In 2018, Balukas announced the business was up for sale, 54 years after her father and business partners first opened the doors in 1964. "It's been an amazing journey," Balukas said. Niels Feijen wasn't the only professional battling injury in 2018. John Morra's been plagued by chronic pain for years, to the point the 29-year-old Canadian star announced his retirement in 2017. Neck and back pain were nearly unbearable, but it wasn't as bad as a future without pool. Morra had an interesting solution – he'd just start playing left-handed. The idea, to the casual fan, sounds absurd. Professional pool has such an incredibly small margin for error, how could someone rebuild his entire game to an elite level in a matter of months? Well, Morra might have some answers. 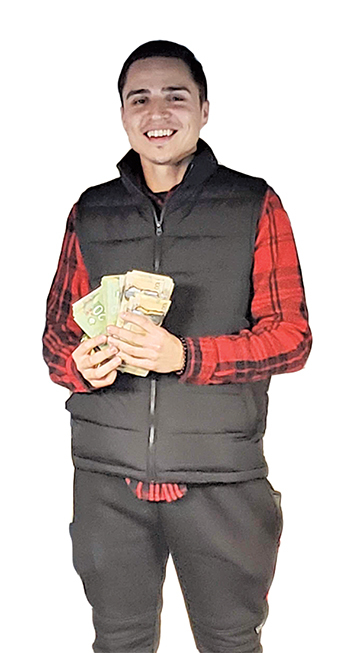 He ran through an elite field at November's East Coast Canadian Open, winning the 8-ball title by topping Shane Van Boening, Corey Deuel and Mika Immonen for the $5,000 win. "I've been playing lefthanded on and off since I was 17," Morra said. "But that was just a little practice here and there." 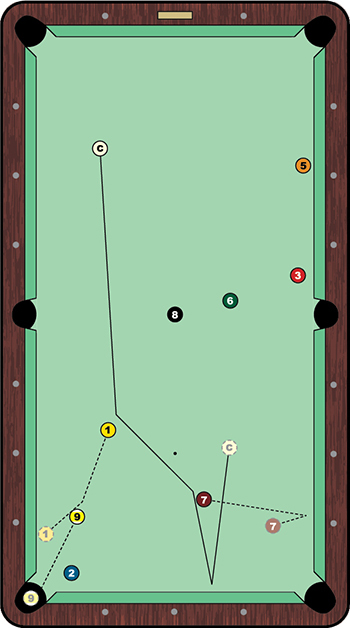 The U.S. Open 9-Ball Championships, founded by Barry Behrman in 1976, is the world's longest running major pool tournament. Much like the American pool scene, the event has seen its share of twists and turns. But in spite of questions about the prize fund or the added money, the Open is one of the crown jewels of the U.S. tournament scene. With Behrman's passing in 2015, though, the long-term future of the event seemed a bit unsettled. Behrman's children, Brady and Shannon, found a trusted keeper in Matchroom Sport – the U.K.-based promotions firm behind the Mosconi Cup, World Cup of Pool and World Pool Masters. Three top-notch international events? Barry Hearn, Matchroom's head honcho, wanted to add a fourth. "We are going to take a historic event and make it mainstream," he said. "That is our charge." 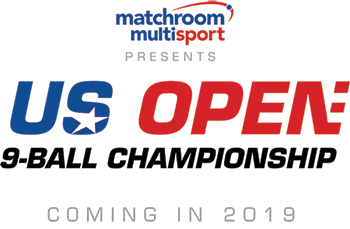 After taking 2018 off – the first time the event has not been held in its history – the U.S. Open is set for April at Mandalay Bay in Las Vegas, which will be the first time the championship will venture outside the Virginia Beach, Virginia, area.